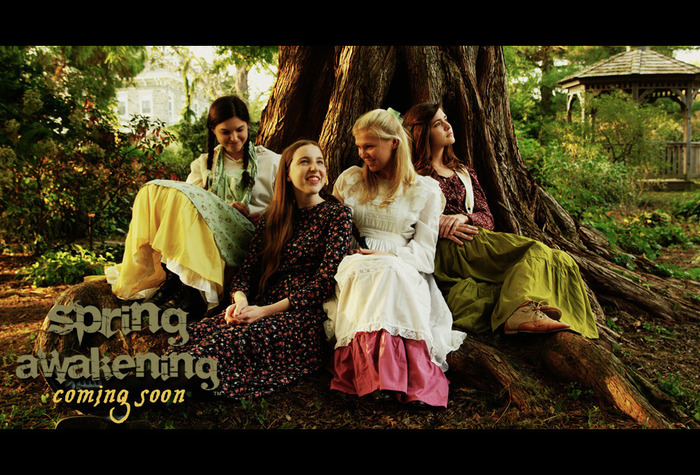 A group of Delawareans – including Christopher Bruce of Bruce Productions – is hard at work bringing their adaptation of the groundbreaking play Spring Awakening to the silver screen, and they want YOUR HELP to get the project over the finish line! "Spring Awakening: The Movie is a true collaboration," says Bruce, who producing the film. "It embodies the spirit of Independent Film and features many local actors, crew and locations in the tri-state area." The movie is a non-musical version based on Director Kurt Leitner's English translation of Frank Wedekind's original German play. "As the first feature-film version, our production follows closely the themes of the original, revolutionary author," says Leitner. "[the story is]...filled with teen angst, rebellious actions and sexual questioning and follows what young teens experience when coming of age. Across the globe, this cautionary tale continues to inspire rebels and surge debate." And they're thrilled to produce it here in the Brandywine Valley. Spring Awakening's funding campaign ends on April 3, so Bruce is urging interested folks to visit their Kickstarter page, make a pledge and share it with their social media networks. You can get a full background on the Spring Awakening story and their progress thus far at the Kickstarter page as well. If you want to learn more about the film or the funding process, email Christopher Bruce directly. Click here to see a video promotion of the film! "Sarah Strange is as decadent as Angelina Jolie thinks she is...Don't see this movie sober!"